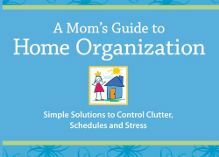 Remember when I told you about Debbie Lillard‘s “A Mom’s Guide to Home Organization”? Well, I finally organized my time and get a chance to read it. Here are the top five things I learned as I read. 1. Use a Daily Planner. I have to do this or it’s mass failure. Sure, technology helps, but I cannot manage work, family, blogging, and my business obligations without seeing it all in one place. (When you have 5 email addresses, things get a bit crazy!) My planner absolutely helps me keep things straight, but Lillard gives a great tip that I have to start using – log your spending in the planner! Say you start the week with $100. Log your spends and remaining money on each day of the week. This will help with budgeting. 2. Use a stair basket to gather things that “don’t belong”. This method is awesome for getting everything in the right place. Instead of using one basket (because then everything remains my responsibility), we opted to have a basket for each of us. 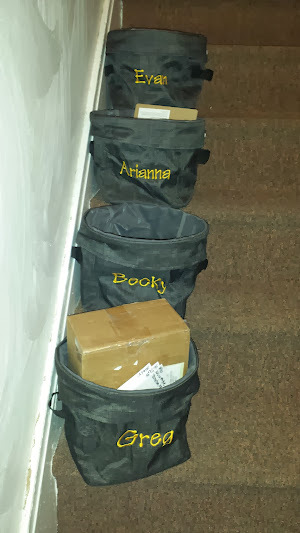 The idea is that we will each take care of the things in our baskets any time we go upstairs. So far, the kids have some learning to do. It really helps capture all the mess in our public space. 3. Manage the paperwork – file things away! Last weekend, I took Lillard’s filing tips and sorted piles of paper into things to read, to file, and to do (see my planner!). The file pile resulted in putting things in the folders I created last year for medical, house, dogs, cars, utilities, Ari’s school, bank, and more. This past week, all mail that came in was immediately processed and filed. 4. 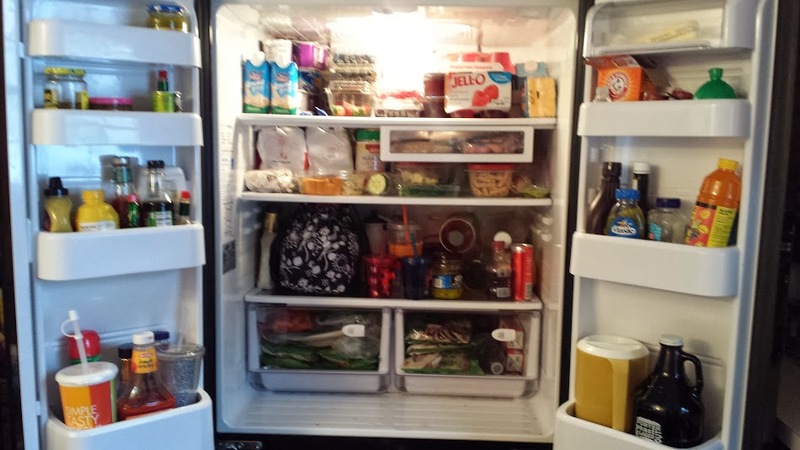 “An organized fridge is a healthy fridge.” While meal planning, I couldn’t agree more. 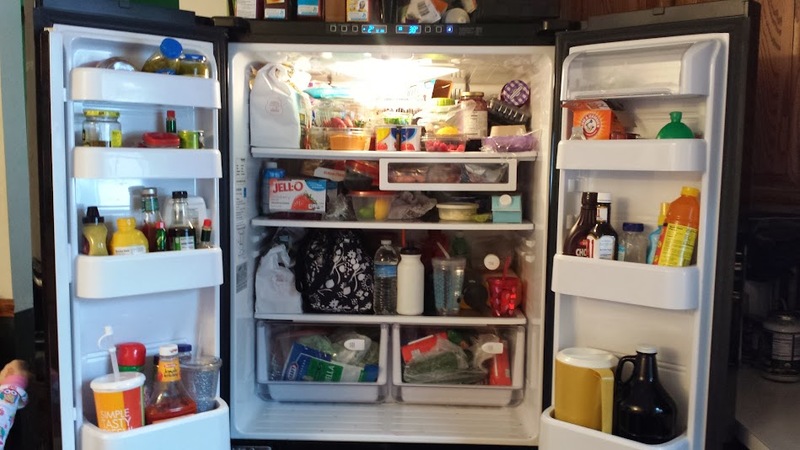 Having everything in its place helps to quickly grab the oldest stuff first and to see what we really have to eat. There’s a bin for veggies/fruit (I don’t like to put the berry baskets in there, so I combine), a bin and a drawer for meats (we eat a lot of protein around here), a shelf for drinks and my lunch, a shelf for leftovers (ewwwww to all that McDonalds, Greg), and an entire shelf dedicated to dairy aisle stuff. 5. Have a schedule. This week, we put the kids on a new routine. Bedtime started at 8. Wake up is between 7:30 and 8:30. Naps are 2:15-4:15. Everyone is appropriately tired, allowing dedicated kid time for me (I’m working on giving them time without me having to work on work, blog, or Thirty-One) and dedicated couple time for Greg and I. Having a schedule made all of us happier – let’s hope the routine sticks! These are just a few of the tips I got from reading Lillard’s book. It’s a great read for anyone who feels like life is spinning out of control. You might want to learn about how to organize a specific room or part of your life – just flip to that page, get your tip, and get organized. The rest of the book will be there for when you’re ready. You can get your own copy on Amazon. This entry was posted in Book Reviews, Home and Garden Stuff and tagged organization. Bookmark the permalink.